This practice explores the raw wilderness and harmonious nature that lives deep within us all. Sound Weaving is no ordinary singing workshop. It is a practice that grounds us in our bodies and connects us to our resonant selves and each other. Allowing us to be truly present. Hearing, softening and surrendering to the magic of music that pulses within and through us. This 5-week workshop is designed to liberate your natural voice and gift you tools that will serve to support your honest human expression, in an environment where you can safely surrender your beliefs, thoughts and ideas about your singing voice and sound. An invitation to experience life through sound. A non-refundable or transferable deposit of $50 is required within 3 days of receiving bank details to book your place. Full payment due by Monday 22nd April. Payment for the 5 weeks must be made before the first session. If money is an issue, please be in contact, and we can work out a plan. This workshop is for people who are new to the Sound Weaving practice. There will be a limited number of places. Commitment for 5 sessions is ESSENTIAL, workshop sessions are forfeited if you miss any. A 6-week musical journey exploring your voice and sound making! Song & Sound workshops are intimate group singing sessions that allow students to connect to their human instrument in an environment that nurtures exploration, fun, self-expression and creativity. These sessions will focus on singing songs in unison, 3-4 part harmonies, improvisation games, looping, chanting, storytelling, singing circles and vocal and body percussion. Songs chosen represent the interests of groups that gather. A non-refundable or transferable deposit of $50 is required within 3 days of receiving bank details to book your place. Full payment due by Thursday 25th April. Payment for the 6 weeks must be made before the first session. If money is an issue, please be in contact, and we can work out a plan. There will be a limited number of places. Commitment to the 6 sessions is ESSENTIAL, workshop sessions are forfeited if you miss any. A non-refundable or transferable deposit of $50 is required within 3 days of receiving bank details to book your place. Full payment due by Monday 21st January. Payment for the 5 weeks must be made before the first session. If money is an issue, please be in contact, and we can work out a plan. Come, sit and be moved by the power of Chanting & Mantra. A practice of discipline and devotion. We gather weekly on Tuesday afternoons and Friday mornings to explore Vedic and Tantric mantra and philosophy. All welcome! Please arrive at 2:15 PM, the door will be shut at 2:30 PM and you won’t be able to get in. Please email, text or call if you are coming. Please arrive at 10:00 AM, the door will be shut at 10:15 AM and you won’t be able to get in. Friday gatherings are for committed students. You must be able to attend at least two meetings per month. We are pleased to announce that Amit is coming to Australia again in March, to teach a series of workshops. This workshop is an incredible and rare opportunity to work with an internationally acclaimed Voice & Breathwork teacher and Sound Healing Master. During the workshop, you will be led on a journey of opening to your natural voice and allowing your deepest music to sing through you. The Wild Roots Practice teaches us to listen deeply, relax and connect to “the breather”. It offers a way to explore our creative nature and express our unique voice in a supportive, healing and welcoming way. It strengthens the experience of our true nature, deepening the intimacy with oneself and others, increasing the tribal sense of belonging, freeing sexual energy and getting in touch with our creative life, are only a few of the intentions and offerings of the Wild Root Vocal Journey. This journey is not only for the singers. Anyone with the inclination to meet their true nature and learn something new will benefit. This technique teaches us to express what is deep within us and to throw away preconceptions of ‘art’ or sounding good. This workshop is about presence with ourselves, with each other, with nature. All prices below include the intro and the final ceremony nights. Whoever wishes to attend the whole workshop must come to the Wednesday evening introduction, as it is the first session of the workshop. A non-refundable or transferable deposit of $50 is required within 3 days of receiving bank details to book your place. Full payment due by Thursday 17th January. Payment for the 6 weeks must be made before the first session. If money is an issue, please be in contact, and we can work out a plan. Join us for a three-hour workshop invoking the Hindu goddess, Kali, co-facilitated by Dina Smirnova and Jacinta Percy. This is the continuation of a series of monthly gatherings intended to explore Sacred Sound & Yoga by examining various mystical themes with a strong focus on maintaining the integrity of the teachings and spiritual practices. The Fierce One, the Absolute, the Dark Mother. She teaches us to be fearless in the face of the fearful one, and her sword is that which slays through the illusions of the material world, revealing that which cannot be destroyed. Depending on the level of consciousness from which you approach Kali, she can either be seen as a goddess of the margins, scary and demonic-like or as Mother Kali, the benign and loving source of kindness and blessings. If you’ve ever experienced outbursts of energy, great creative expression, sudden changes in life, or the process of birth itself, then you are familiar with Kali’s power. When we work with Kali Shakti, she invites us to consider where we are ego-driven and asks us to radically release our attachments. Some examples of where this energy may be present or needed include the process of purification and detoxification; burning limitations and karmic veils; strengthening the heart; liberating the shadow aspects of ourselves. Some prior yoga experience and knowledge are recommended but not required. All levels, bodies, and backgrounds are welcome in the space. Whether you are a practitioner, survivor, carer, researcher, student, policymaker, community leader, manager or advocate: join others from all over the world to participate in the first international conference to headline early intervention for domestic violence in health settings. Come to join The Sound Weaver - Jacinta Percy for a Sound Workshop at the conference, Tuesday 20th November at 12.30 PM on Level 2, Club Pavillion at the International Domestic Violence and Health Conference, run by Safer Families. A non-refundable or transferable deposit of $50 is required within 3 days of receiving bank details to book your place. Full payment due by Wednesday 17th October. Payment for the 5 weeks must be made before the first session. If money is an issue, please be in contact, and we can work out a plan. This workshop is for people who are new to the Sound Weaving practice. There will be a limited number of places. Commitment for 5 sessions is ESSENTIAL, sessions are forfeited if you miss any. Along with Albert, Ancient yogis believed that everything is vibration. Through the use of meditation and sound mantra, yogis were able to tap into the layers of awareness. From these inner explorations, the stanzas of the Spanda Karikas, ancient yoga poetry, were born. Together, with Christina Gagnier and Jacinta Percy, you will use mantra chanting, pranayama, yoga, embodiment practices and other ancient rituals to explore your own awareness of this underlying force that creates and sustains everything in the universe. This workshop is designed to help you remember your infinite and powerful self, with a deep-felt sense of unity with all life. You will experience an Embodied Flow style class exploring the relationship of your body and skin to vibration and space. You will learn more about Spanda Karikas, the verses on the vibration of the universe. You will gain a deeper understanding of how to use mantra and sound as a tool for deep meditation, as we explore the relationship between sound, silence, and meditation. You will leave feeling nurtured, yet energised. A non-refundable or transferable deposit of $50 is required within 3 days of receiving bank details to book your place. Full payment due by Monday 8th October. Payment for the 5 weeks must be made before the first session. If money is an issue, please be in contact, and we can work out a plan. This workshop is for experienced Sound Weaving practitioners. There will be a limited number of places. Commitment to the 5 sessions is ESSENTIAL, sessions are forfeited if you miss any. Join us for a three-hour workshop invoking the Hindu goddess, Saraswati, co-facilitated by Dina Smirnova and Jacinta Percy. This is the continuation of a series of monthly gatherings intended to explore Sacred Sound & Yoga by examining various mystical themes with a strong focus on maintaining the integrity of the teachings and spiritual practices. Saraswati is the goddess of communication, music, learning, and spiritual discernment. Working with Saraswati Shakti enables the practitioner to identify the difference between true and false wisdom. She is the original seed of inspiration, providing in-depth, creative intelligence that can be translated into daily life. Some examples of where this energy may be present or needed include: providing the skill and eloquence in speaking and writing; awakening dormant musical abilities or deepening the permanent connection with music; learning languages; helping with computer glitches. This exploration of the soul takes us deeply inward, where we come to meet our body and our spirit intimately. Through the physical connection and activation of our heart and womb, we will re-awaken to our true nature. The spirit of cacao, sacred water and sound will be guiding us home to the heart, where our real power resides. This is also the eve of the spring equinox and full moon. A powerful time to come together in ceremony and set an intention. 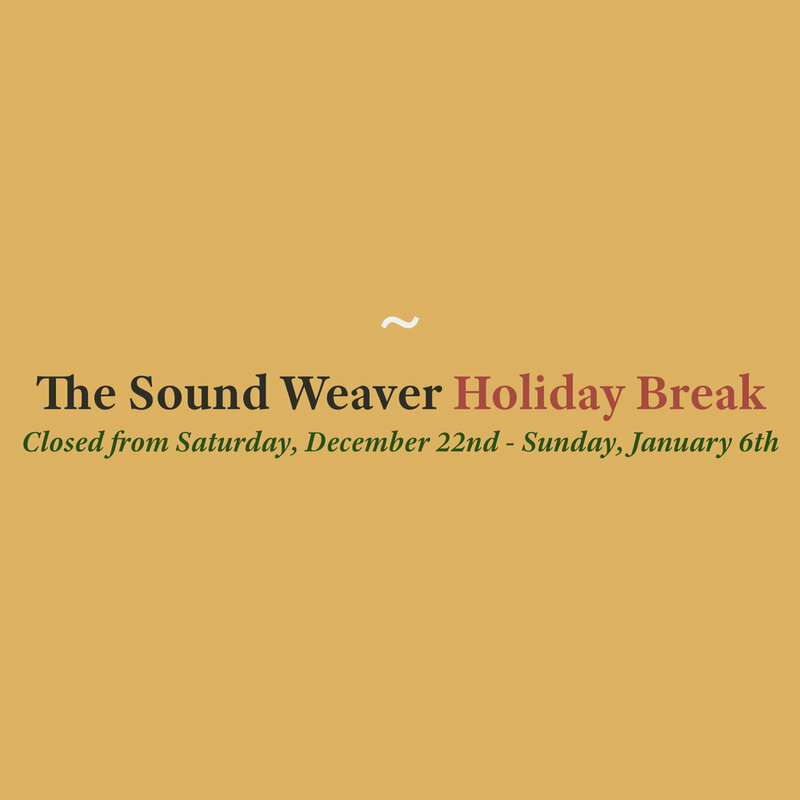 We will have The Sound Weaver - Jacinta Percy back! Weaving her voice and improvised music into the ceremony. She will guide us to open our voices to bring our intentions into life. This ceremony seeds a new beginning, what do you wish to create this spring? You are invited to come to sing a new song for your life and celebrate the Spring Equinox. Leave your everyday world behind and step into a sacred healing space where you have an opportunity to celebrate the return of spring, new life and plant seeds of intention in your life. Spring Equinox is a time of fertility and birth. It marks the transitional shift away from the darkness of winter and the return of the light. Fresh energy, vitality, inspiration comes flooding in, inspiring us to embrace the blessings of new life and abundance being offered from mother nature. I am delighted to have special guest The Sound Weaver and songstress Jacinta Percy joining us for the evening to lead some lush sound + song weaving magic to support our alignment to truth, harmony + supercharge our manifesting mojo! Join us for a three-hour workshop invoking the Hindu god, Krishna, co-facilitated by Dina Smirnova and Jacinta Percy. This is the continuation of a series of monthly gatherings intended to explore Sacred Sound & Yoga by examining various mystical themes with a strong focus on maintaining the integrity of the teachings and spiritual practices. This gathering is an opportunity to transform the passionate fire of Durga into the expansive Love of Krishna. A non-refundable or transferable deposit of $50 is required by the 13th August to book your place. Full payment due by Wednesday 23rd August. Payment for the 5 weeks must be made before the first session. If money is an issue, please be in contact, and we can work out a plan. This workshop is for people who are new to the Sound Weaving practice. There will be a limited number of places. The commitment to the 5 sessions is ESSENTIAL, sessions are forfeited if you miss any. This August full moon, we gather as women with the medicine of cacao and music. This is a ceremony of remembering, of awakening to our nature, to feel our feet on the earth and celebrate the emergence of spring. As women, we come to sit together, dance together and remember our nature as we reignite our wisdom as women. We connect more deeply to our senses and our environment through meditation and movement, with the support of a musician and soundscapes that are carefully chosen to activate the earth energy within. We will have The Sound Weaver - Jacinta Percy weaving her voice and improvised music into the ceremony. She will guide us to open our voices to bring our intentions into life. A non-refundable or transferable deposit of $50 is required by the 13th August to book your place. Full payment due by Monday 20th August. Payment for the 5 weeks must be made before the first session. If money is an issue, please be in contact, and we can work out a plan. Join us for a three-hour workshop invoking the Hindu goddess, Durga, co-facilitated by Dina Smirnova and Jacinta Percy. This is the continuation of a series of monthly gatherings intended to explore Sacred Sound & Yoga by examining various mystical themes with a strong focus on maintaining the integrity of the teachings and spiritual practices. Durga is the warrior goddess of pure strength and protection. Working with Durga Shakti enables us to reflect upon our relationship to personal power and our will to create. When harnessed, Durga’s energy empowers us to stand up for what we believe in, guide us through our most conflict-ridden dramas, and enable us to be fearless and brave in the service of Truth. Some examples of where this energy may be present or needed include: initiating or completing projects; rekindling our connection to the power and strength of Mother Nature; inspiring action to build new, positive habits; standing fully in our power; learning how to create healthy boundaries when faced with adversity. This gathering is an opportunity to build upon the fluid, sustaining the energy of Lakshmi and introduce the grounded, fiery essence of Durga. Songs of She chant sessions are intimate gatherings for women to come, sit in a circle and open their voices to the medicine and magic of sacred and shamanic chants. An evening to nourish your spirit and experience the sound of your sister’s voices, bathing you in ancient resonance that awakens the spirit! We are blessed to have our beautiful chantress, 13 Moons Sister, Jacinta Percy, “The Sound Weaver,” coming to open the evening with a sounding session, to support your voice, body and mind to gently open and access the deeper unknown aspects of self through sound. We would love to see you there, to share the beauty and blessings these chants bring.